Seven FOs for the year. In there is my first sweater (about three years in the making) and some cotton socks that sucked my will to live. There are the mitts and shawl that I had to make to match the hat I needed to knit to keep me warm after jiu jitsu. There’s the “sweaty cotton” washcloth (actually 2) that I took camping and finished at Hurricane Harbor. My favorite is the coffee hat. Lovely yarn, from a lovely friend ended with a fun and much loved knit. In anticipation of the annual CMMDI, I tried to finish one more project. 8 rows and a cast off short. 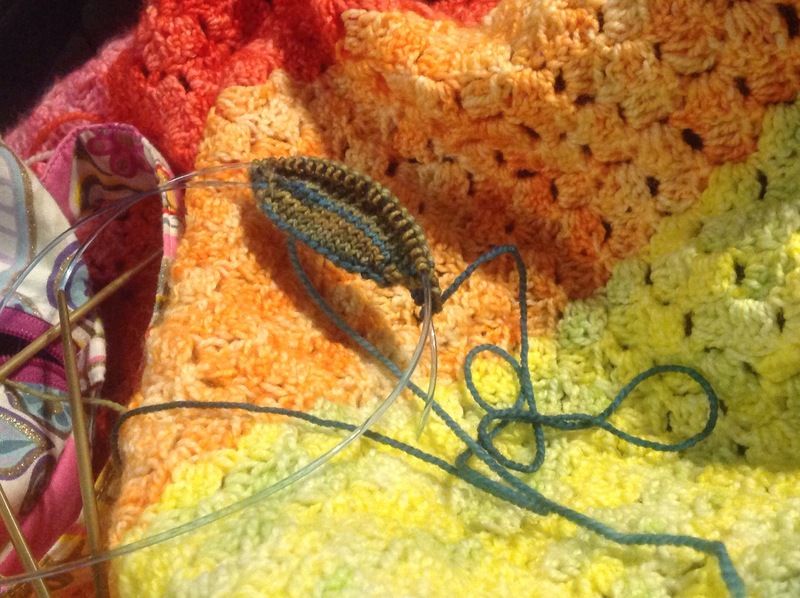 I do however predict it will be my first FO of 2016. I may have even dug out my the sweater that I cast on (and knit most of) right after I finished the first one. Hope y’all have a happy and safe New Year’s Eve. I want to add more length, but I’m kind of tired of it. 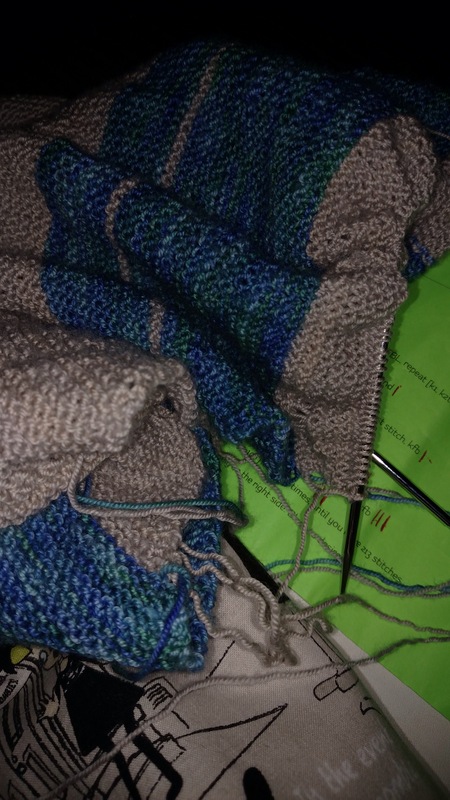 However, I think I have a Julia, a pair of socks, and may have bought Romi’s 2015 Mystery Shawl. (I’m blaming Margene for this one) At least I know I’ll like it, since I love almost all of her designs. Although, I am leaning towards the green and white or the purple and white. What are you doing this weekend? Since it’s been so cold, I’ve been diligently working on my sock yarn afghan. It’s been nice to sit underneath it as it grows. However, it is also a little boring. I may have started another pair of socks. Yeah, yeah. I know I have three other pairs started. But they’re cotton! I needed a wool pair. And someone to finish my WIP’s. Whatever. It will give Texas something to figure out when I’m dead. Did you know there are a bunch of designers donating proceeds from pattern sales during the Olympics? It is best explained here. I was going to keep working on the Mystery Sock, but those people in that training camp group have made me pull out the sweater that I have been trying to ignore. O.k. Fine! The socks themselves actually made me grab the sweater. This is my first heel flap since May of 2007. Yes, seven years. I hate picking up the stitches on heel flaps and never seem to get it right. I made a mistake or two and this is the best looking side on this sock. I need a timeout before facing the other one. Meyer lemons are not the same as regular lemons. Yeah, they looked pretty, but they’re not the same. Tide booster packs do not have detergent, so no, not the same as Tide pods. Wax paper and parchment paper are not interchangeable for cooking. Storage bags are not the same as freezer bags. REGULAR half and half. Not fat free. I did, however want the fat free greek yogurt. Brand names don’t alway matter. Except for toilet paper and tissues. Hello, Puffs Plus with lotion and vitamins and all that other lovely goodness that leaves the skin on my nose. One more thing I think I might need to drive home for him: If you think it’s allergies, it’s not. Just take the medicine, carry lysol, and stay away from me. I am feeling mostly better today. I think one more day of rest will finally put this to rest. Of course, it might also help that Texas is in Austin. Which means his boy/plague germs aren’t circulating. I may have lysol’d and bleached the whole apartment when he left. Don’t tell him that. Mmmkay? Happy Friday y’all! Are you knitting something today? 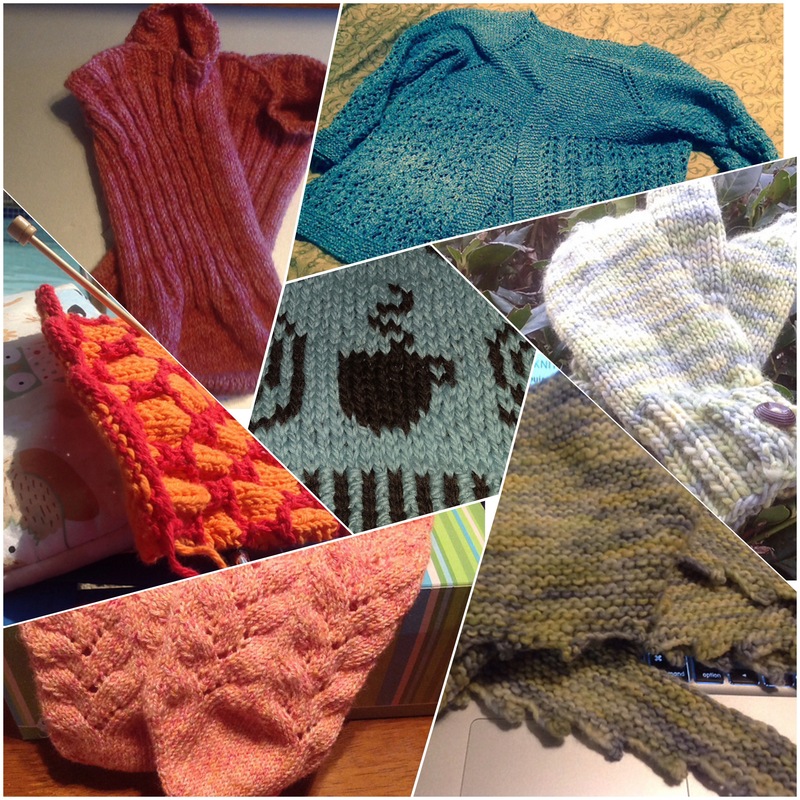 Author stacey919Posted on February 7, 2014 Categories UncategorizedTags Knitting, love shack, Texas, WIP's5 Comments on Hello Friday!